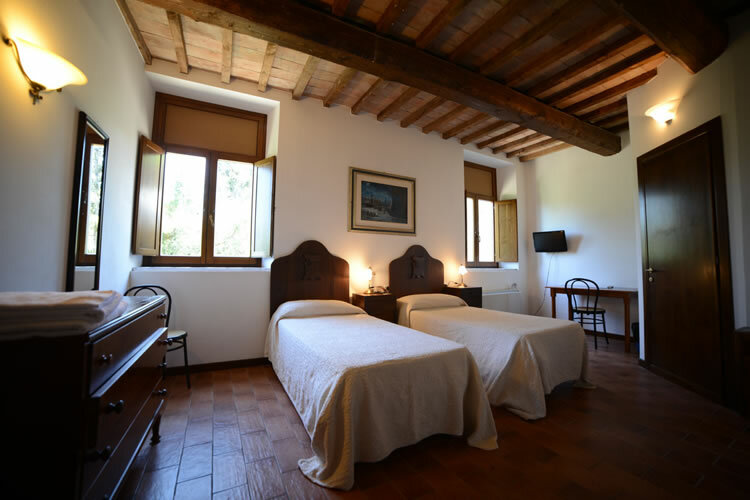 The rooms, with flat tile andwooden ceiling, are decorated with "arte povera" furniture, wich give a true sense of tradition an classicism. 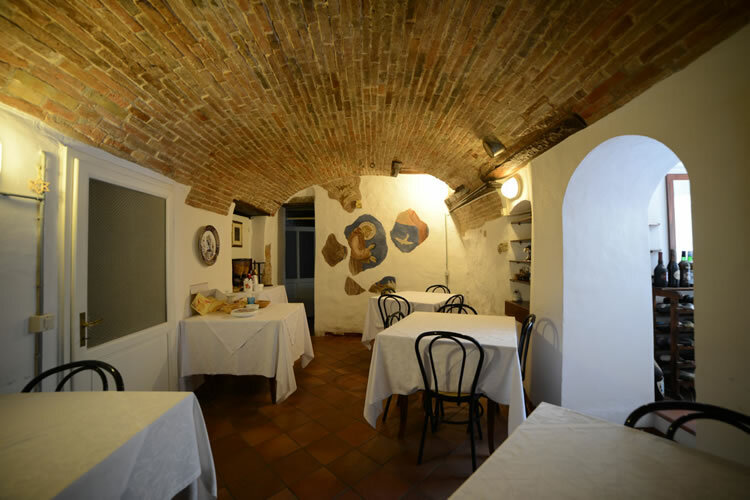 The long corridor that crosses the all the country house, connecting the rooms, shows in same parts rocks on the walls, typical of umbrian old farm houses. The rooms are all very spacious with up to 30 sqm, and have a own internal bathroom. The Pieve Campus is situated near Corciano, 10 km far from Perugia, in the Umbria region, in the center of Italy. 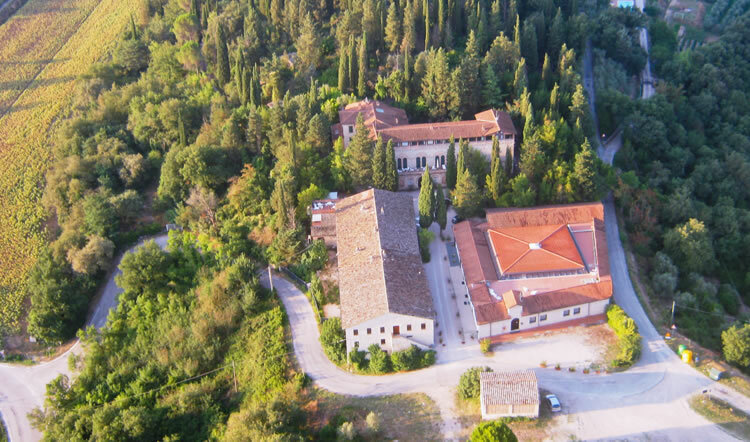 The historical estate of the Pieve International School Campus extends over 9 acres at 408 m above the sea level. The Pieve Campus is totally immersed in nature in history: just adjacent to the Medieval Castle of Pieve del Vescovo, Villa Pieve is just a five minutes walk from the Medieval town of Corciano. 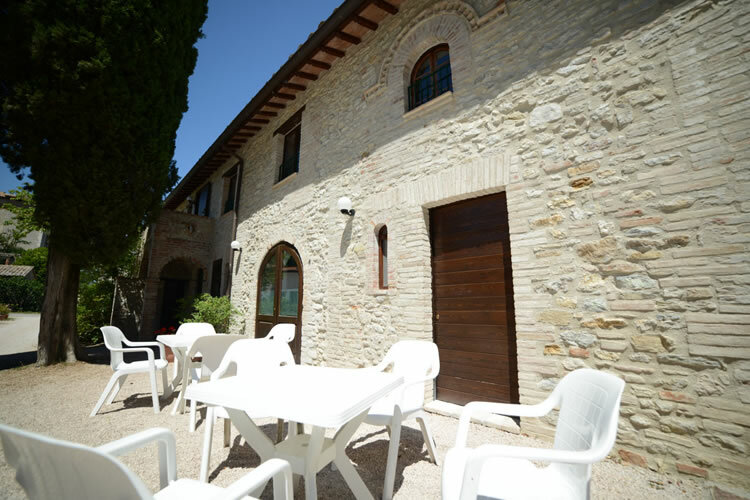 The Pieve Campus is situated half way between Assisi, Perugia and the Trasimeno Lake. The Pieve International School Campus nestles among the Umbrian gently rolling hills around Lake Trasimeno. The estate's surrounding area is typically Italian, characterized by a landscape of fields, hills and mountains dotted with olive trees and vineyards. The whole area is rich in culture and history from ancient Etruscans to Romans, through the Middle Ages and the Renaissance. Just in front of the Pieve International School Campus, less than 50 meters from the front door, stands the Pieve del Vescovo Castle, from which the Campus takes its name. The Pieve International School Campus is situated in the quiet countryside of Colle Landone [Landone Hill]. The medieval town of Corciano, perched on this hill, is just 1 km from the Pieve Campus and equidistant from Assisi, Lake Trasimeno and Perugia. Every summer this small town is enlivened with art, music and regional craft displays. Just a ten minute drive from the Villa Pieve is the Natural Park of "Monte Tezio" and fifteen minutes away lays the famous Trasimeno Lake. This area is world renowned for its architectural masterpieces one of which, "Romitorio", is sited on the road to Corciano. The Castle of Pieve del Vescovo is dates back in the XIV century but the little church just inside the fortress is documented since XI century. The entire castle was restored during the Renaissance according to the instructions of architect Galeazzo Alessi. For many years the Castle of Pieve del Vescovo was the summer residence of Pope Leo XIII, who loved the Umbrian countryside. Over the years many Bishops came to the Pieve Castle on vacation till the beggining of the 1900. 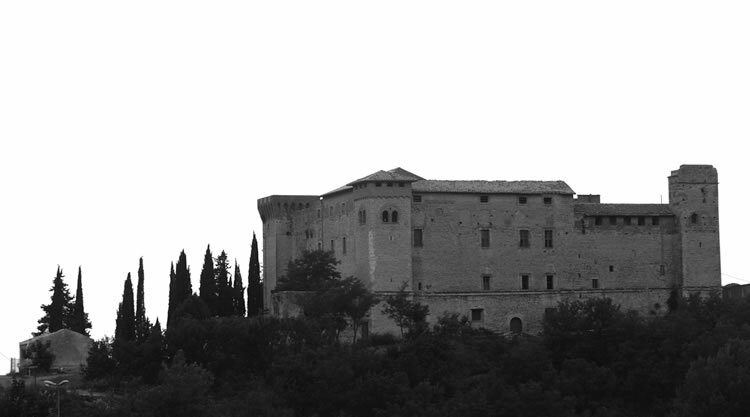 Today the Pieve del Vescovo Castle is a national monument and one of the most beautiful medieval fortresses in Umbria. Villa Pieve is located in Umbria, the region south of Tuscany and north of Lazio called "the green heart of Italy". Well connected to the Firenze-Roma highway, Villa Pieve lays in a strategic position to quickly reach both North and South Italy. Our location allows day trips to Rome (2 hours), Florence (1 hour, 30 minutes), Siena (1 hour), Assisi (30 minutes) and Perugia (10 minutes), capital of Umbria and important Renaissance center. Moreover the Perugia University is one of the oldest in Europe. 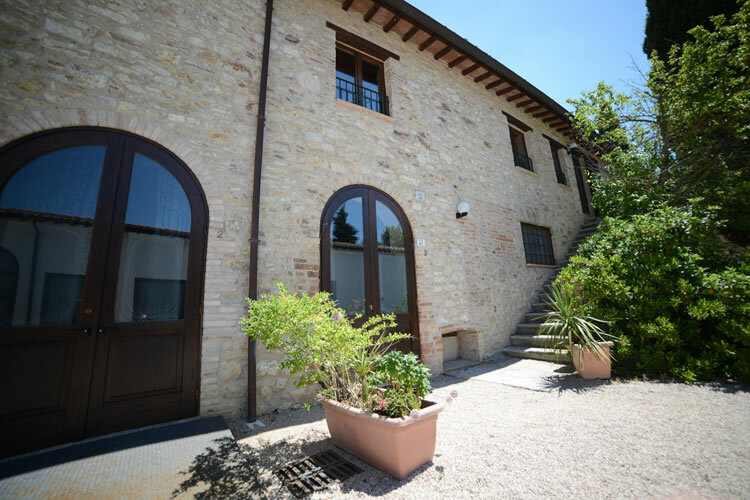 The Perugia Airport is only 20 minutes from Villa Pieve. We offer shuttle services for our guests.